Listen to highlights of Saturday, August 26th’s edition of Buffalo Sports Page radio on WECK-AM/FM. Buffalo Sports Page NFL Expert Greg Gabriel joins Kevin Sylvester and Paul Peck to preview the Bills-Ravens preseason game. The trio also discuss Anquan Boldin’s departure and Colin Kaepernick’s unemployment. Then, ESPN College Gameday personality Chris “Bear” Fallica joins the guys to talk about the start of the college football season, and which college quarterbacks Bills fans should be watching. 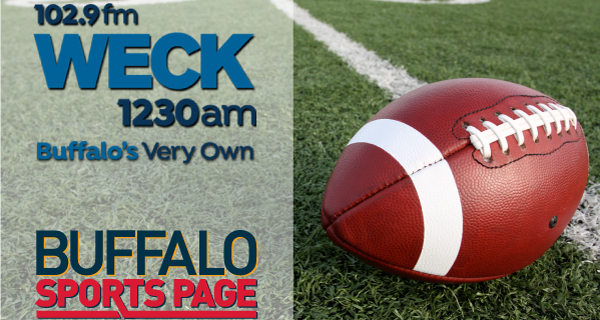 Buffalo Sports Page Radio can be heard every Saturday on WECK Radio, on the WECK Website, and on Buffalo’s Sports Page’s Facebook Page.